You’re already paying your water utility bill, why pay to get water delivered? With our service you get simple flat pricing no matter how much water you use. No complex ordering, no invoices to reconcile, no storage, just savings of up to 70% over bottled water delivery. 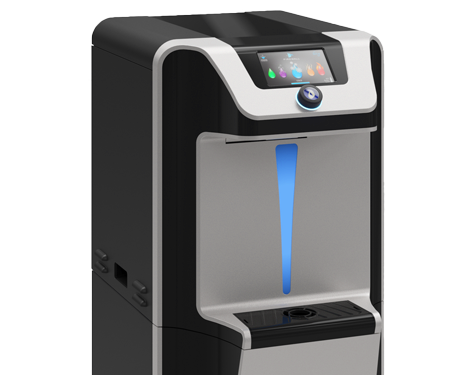 Aquavita bottleless water cooler dispensers connect directly to your building’s water supply and purify it upon dispense to provide an unlimited supply of chilled water. Your team can waste hours a month lifting and changing difficult, plastic water jugs, each time risking injury from the heavy lifting. Ditch the distraction of water delivery and make your life easier with a point of use water cooler rental from Aquavita. Our colors are blue, but we’re always thinking green. Make the switch and reduce your carbon footprint by up to 72% and help save the environment. 99.9999% bacteria-free, 100% of the time – who else can give you that?